Pick a Title, Pick a Genre, Pick a Style. Who will the mix be for ? Will you be using acapellas? Samples? Scratching Techniques ? Set up your cue pts & practice any hard mixes. Make sure the music is of good quality. 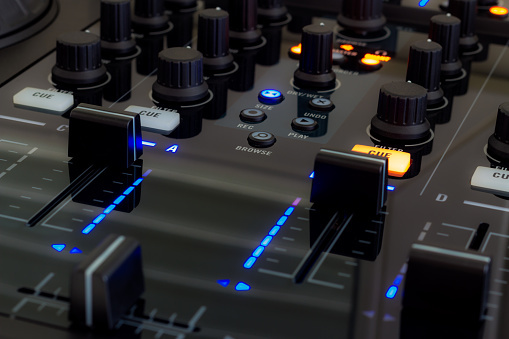 Load up some tracks on both Decks & use this to check your recording levels. Adjust the levels to make sure you are not peaking in the red. Have everything you need nearby. Have pen & paper to hand to take notes during recording. Remove distractions from the area you are recording in. Make sure you hit record on your software before you start your mix. Have a plan for the mix. Clearly set out your track Listing including BPM / Keys etc. Take notes as you record the mix. Document mistakes & the times where they take place. Name the recording & save it. Make a copy of the mix & rename it edit version. Where possible BackUp the file to an external hard drive. Top & Tail the file so that it starts & finishes smoothly. Correct any mistakes from the recording & your notes. Add any markers if putting on CD formatt. Look for tracks that are too quiet or too Loud during the mix. Pick your settings for formatting, Highlight the mix, set the threshold & compress the mix. Save as an easy to find & memorable name. Upload the mix to Mixcloud / Soundcloud & youtube. Share the links on your social Media outlets. Burn to CD & hand out to Bar / Nightclub promoters & owners. Commit to making regular Mixtapes.